I am back in Rishikesh. We have some fences to mend, this town and I, and so far Rishikesh is winning. Expectation is a funny thing. We are staying in an ‘upscale’ hotel that is the sister hotel from our last visit. It is not nearly as nice. We have no real closet or place to store our clothes, no balcony, no view of the river – although we are much closer to it – and no monkeys. A couple of us are disappointed but trying to be yogic about it. “What are we supposed to learn from this? What do you suppose the lesson is?” It is about expectation, of course. And India is the master of spitting expectations out the barreling rickshaw window like a stale piece of gum. “Be present,” she says, “notice, observe.” Whatever. As we were driving from the airport to our hotel I had the distinct feeling that I might be done with India, I don’t know that I will ever have the desire to come back here. There is so much trash, so much poverty, so much. So many sick animals, maybe abused and no end in sight. I don’t know why this is all bothering me so much now, I don’t know why it didn’t before. The novelty has worn off. At first it was, “Oh, it’s just India, being India.” Now I see no excuse for the messes. But I have brought assumptions and expectations with me this time. I have been to this town before and think I know what to expect. Think I know what I want. I think I know how to patch things up, but I don’t. And so I must surrender, but right now that feels like a fight. So I’ll scowl and shake my head in disappointment until my need to be right passes. And it will. The magic and beauty will reveal themselves to me. I just have to get over myself and be here now. 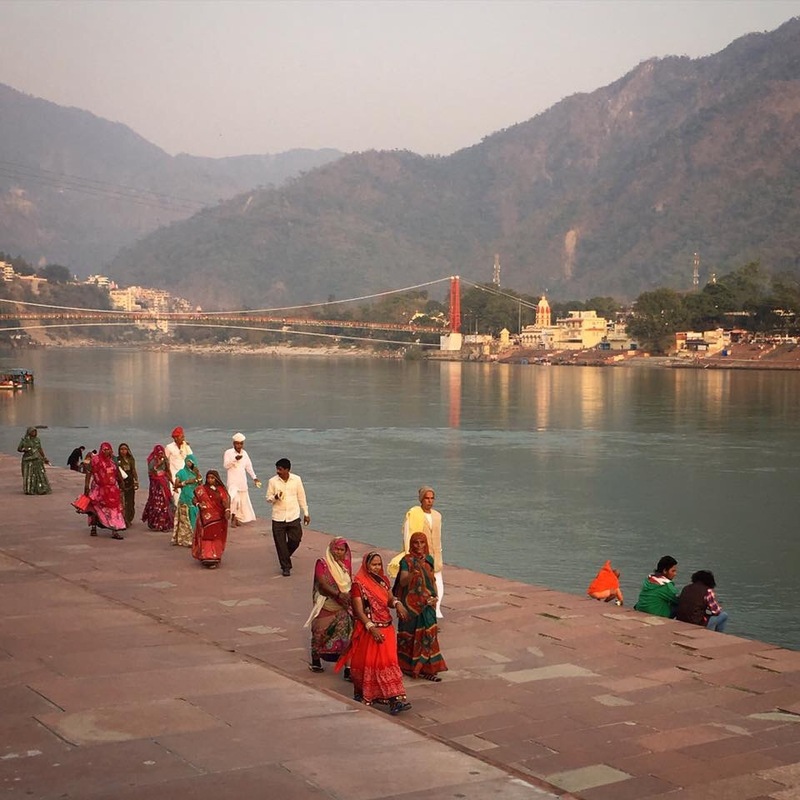 strange how two people can have such varying perspectives.Was in Rishikesh this month and loved every minute I spent there.You can check my blogs too . I do love it, it’s just been a process. Last time I wasn’t here long and it rained off and on and we were staying up the hill from the river. This time we are nearly on the river and here for 10 days so I have time to really just BE here. Thanks for your comment. And yes, there are billions of people, everyone with a different perspective! yes key on all towns along the Ganges is to stay in a place that overlooks the river.